It’s the most magical time of the year as the holiday season has arrived. 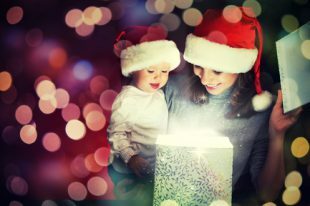 While the preceding months featured beautiful fall foliage, December brings the glow of the Christmas season where children ache for the morning that they run downstairs to see what Santa has brought them. Residents of the Claremont Towers luxury apartment complex in Hillsborough, New Jersey, can enjoy quite a bit of festive cheer by partaking of a number of local events and activities. The township of Hillsborough, New Jersey, boasts an estimated population of 39,832 individuals, but it still manages to retain a small town atmosphere. (1) Those living at Claremont Towers can take a short train trip to New York City to catch the dizzying array of holiday-themed delights to be found in the Big Apple. However, there is a lot of holiday fun that can be found much closer to hand. A home is much more than just a place to store some personal belongings or have a spot to sleep each night. An individual’s home is their own personal oasis that serves as a place where they can escape the madness of the everyday world to just relax and be themselves. This is why people work hard to make their home as comfortable and welcoming as possible. While budget is always an issue, people do look to have the finest possible amenities and home decor to create a pleasing environment. Residents of Claremont Towers in Hillsborough, New Jersey, are indeed fortunate as the luxurious apartment complex offers many fine amenities that they can enjoy. One of the main highlights of the year for any American is the Fourth of July holiday where the entire nation celebrates its founding. 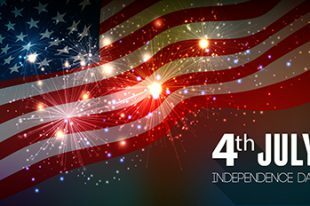 The Fourth of July commemorates the signing of the Declaration of Independence, which severed ties between the American colonies and Great Britain. While the actual date of the Second Continental Congress approving independence was on July 2nd, America celebrates its anniversary on July 4th as that is when the final version of the Declaration of Independence was approved, signed, and sent to the printer for publication. (1) Practically every city and town in the United States celebrates the Fourth of July, and Hillsborough Township in New Jersey is no different. Residents of the luxurious Claremont Towers apartment complex in Hillsborough look forward to the multitude of Fourth of July events that can be found close by. Hillsborough received its official charter on May 29th, 1771, to become Hillsborough Township. (2) The township became part of American history during the Revolutionary War when General Washington was moving his army to Morristown after the Battle of Princeton, where the Continental Army defeated British forces on January 3rd, 1777. (3) During the move, Washington had his men encamped on Sourland Mountain while British forces waited in the valley below for an opportunity to attack. Washington had his men drill in various formations while holding corn stalks in place of guns. The sunlight caught the corn stalks, and the British thought that Washington had been supplied with armed reinforcements. Believing that they were now outnumbered, the British retreated to New Brunswick, allowing the Continental Army to continue their march to Morristown. The town’s populace, including those living at Claremont Towers, are extremely proud of their local connection to an important moment during the Revolutionary War. Summer has long been the most popular season of the year for both adults and children. Students love summer as school is no longer in session, and they can pass the lazy days away by playing video games, hanging out with friends, or just sleeping in. 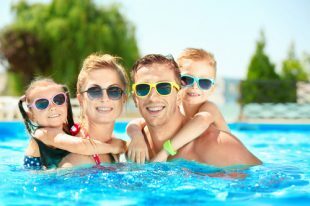 Adults look forward to summer as it’s the traditional time of year for the family vacation, and the warm weather is perfect for going to the beach, having cookouts in the backyard, or relaxing by the pool. There’s always lots of fun activities that people can enjoy during the summer, and the residents of Claremont Towers in Hillsborough, New Jersey, are quite fortunate that so many can be found close to the luxury apartment complex.